As I stepped out of Mukogaoka Yuen station, I imagined what it would have looked like with carousels, Ferris wheels and carnival games scattered around. Located just outside of Tokyo in Kawasaki City, the area used to be famous for its colorful amusement park until it closed down in 2002. These days Mukogaoka Yuen is home to Ikuta Ryokuchi park, a playground in its own right for art and history lovers, with just as many areas for amusement. You won’t find any cotton candy or fun houses here — they’ve been replaced by unique Japanese sweets and houses preserved from the Edo period around 300 years ago. Mukogaoka Yuen is west of Tokyo in Kanagawa Prefecture and can be reached in about 20 minutes from Shinjuku via the Odakyu Odawara Line. 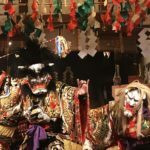 Though it’s not as popular as nearby Shimokitazawa, it gives off a more rural and traditional vibe than Shimokita’s hipster-laden streets. There’s a lot spread out over the park and surrounds so I’d recommend arriving around 10 a.m. if you want to see it all in one day. Our first stop is Miyoshino, a tiny sweets shop about two minutes from the station that’s been in business for 50 years. 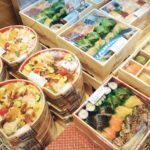 Owner Masayuki Iwano runs the family business with his wife and son – one person making the sweets, the other person selling them. At ¥90 to ¥190 a piece, they are a serious bargain. Sample house-shaped monaka at Miyoshino. I recommend trying the goma monaka (sesame seed flavor) or ogura monaka (red bean flavor) as these are the shop’s specialties. Monaka is like a delicate ice cream cone and adds a nice little crunch to the sweet bean paste filling. The ogura monaka is even shaped like an 18th-century Japanese house; something we’ll learn more about at our next stop. Finish stuffing your face and brush the monaka crumbs off your clothes. It’ll take us about 15 minutes to get to Ikuta Ryokuchi Park. 6:30 a.m. to 7 p.m. Closed on Wednesdays. This is where the amusement park used to be located. 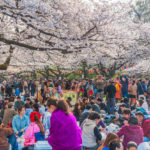 The park itself is huge and includes the Open-Air Folk House Museum, the Taro Okamoto Museum of Art, and the Kawasaki Municipal Science Museum. It makes a great low-key cherry blossom viewing spot too if you’d rather not fight the crowds back in Tokyo. 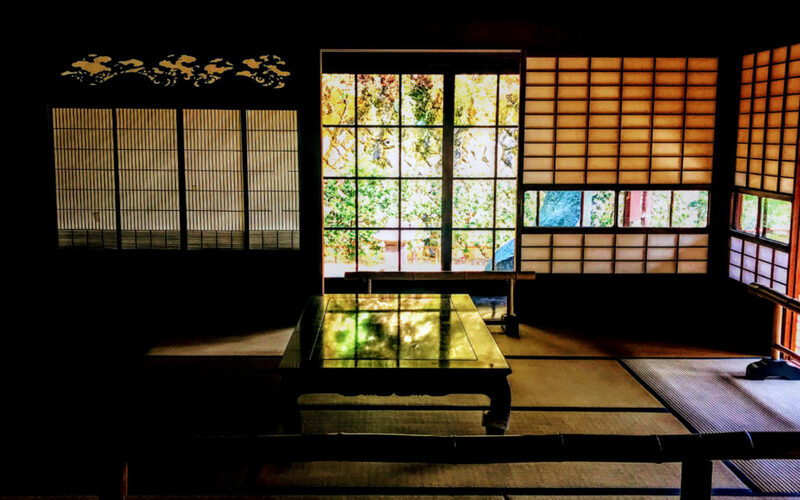 The Folk House Museum, “Nihon Minka-en,” has 25 dwellings preserved for hundreds of years that were relocated to Kawasaki — one house came from as far away as Kagoshima in southern Japan. The museum opened in 1967 but the houses are much older than that and have been restored throughout the ages. Most of them would have been quite expensive and lavish by standards at that time. One of the houses, which was originally completed in 1913, belonged to a family that supposedly had one maid for each of their children. I hope they had less than five! Time travel at Nihon Mika-en. 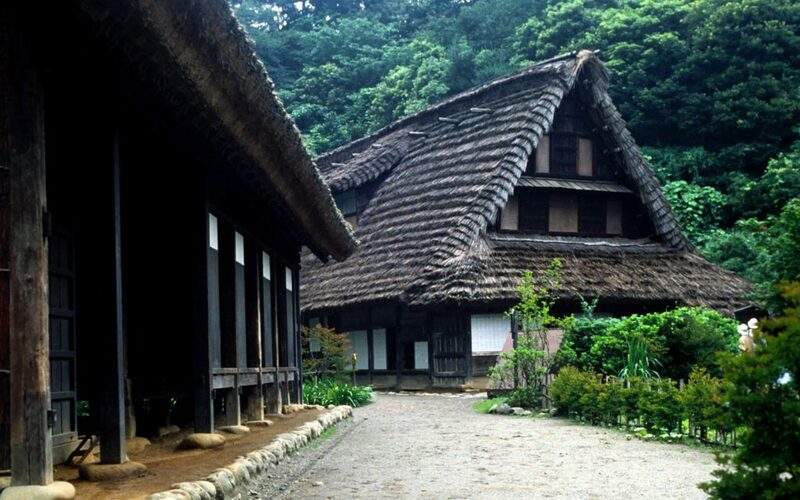 The most distinct feature is the thick straw-thatched roofs called gassho zukuri that would have been used to keep the houses warm inside at a time when there was no heating or air con units (imagine the horror!) The steep triangular shape allowed the snow to roll off and keep the roof from collapsing in areas with heavy snowfall like Tohoku in northeastern Japan. 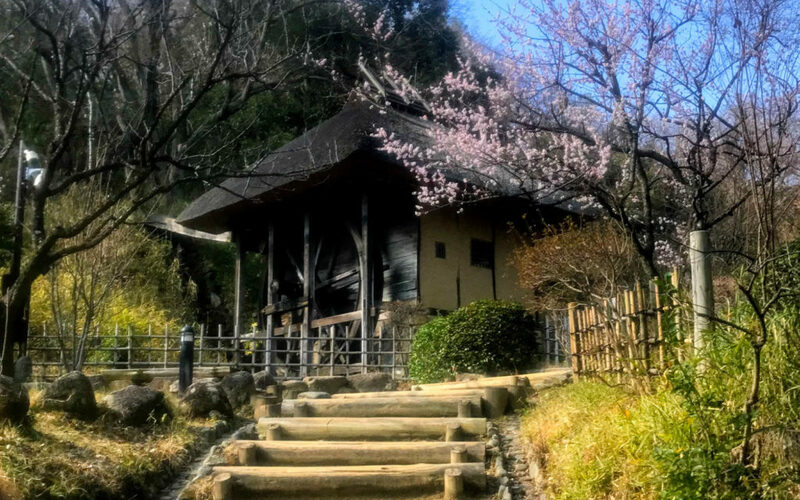 Ikuta Ryokuchi Park stands among Shirakawa-go in Gifu Prefecture and Gokayama in Toyama Prefecture as one of Japan’s popular historical villages featuring this style of house — though you’ll find this park pleasingly less crowded. Every now and then volunteers come to stoke fires inside the houses. I thought it was just for heating and to give the grounds a nostalgic smell of a countryside village, but it’s actually to keep bugs out of the roof by producing smoke. Clever. The houses look like something from a fairy tale. Take your time exploring the houses, and reading about the history of the families who used to live in them. The ticket office has a small museum inside also which provides more information about the architecture with English explanations. Don’t mosey around for too long though, there’s way more to see. 9:30 a.m. to 5 p.m. (March to October) and 9:30 a.m. – 4:30 p.m. (November to February). Closed on Mondays (Tuesday if Monday is a holiday) and weekdays following a national holiday. The museum is also closed during the year-end holidays from December 29 to January 3. Notice the name “Taro” and peculiar design on the packaging for the sweets we bought earlier at Miyoshino? That’s in honor of Taro Okamoto, a prolific avant-garde artist hailing from Kawasaki. 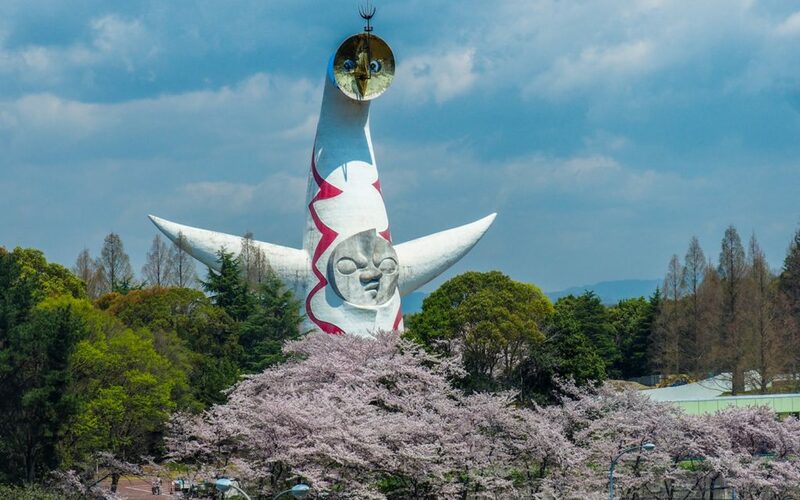 His most famous sculpture is the Tower of the Sun built for the 1970 World Expo in Osaka, which is an esoteric representation of the past, present, and future of the human race. Okamoto’s most famous sculpture, the Tower of the Sun, in Osaka. The Taro Okamoto Museum of Art challenges us to confront the strangeness of humanity. The flowing shapes and deep splashes of color Okamoto creates put us face to face with the fact that we don’t always have the answers to where our paths lead. The Taro Okamoto Museum of Art. 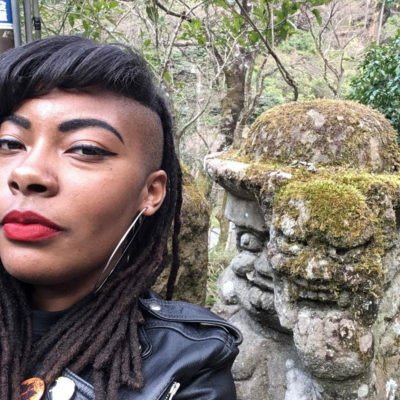 There’s a permanent exhibition of Okamoto’s work, and a guest exhibition featuring other artists who embody the Okamoto spirit of presenting societal issues through unconventional viewpoints. After you’ve pondered the meaning of life and been awed by the art, it’s time to try your hand at making your own. I hope you’re ready to dye. 9:30 a.m. to 5 p.m. Closed on Mondays. 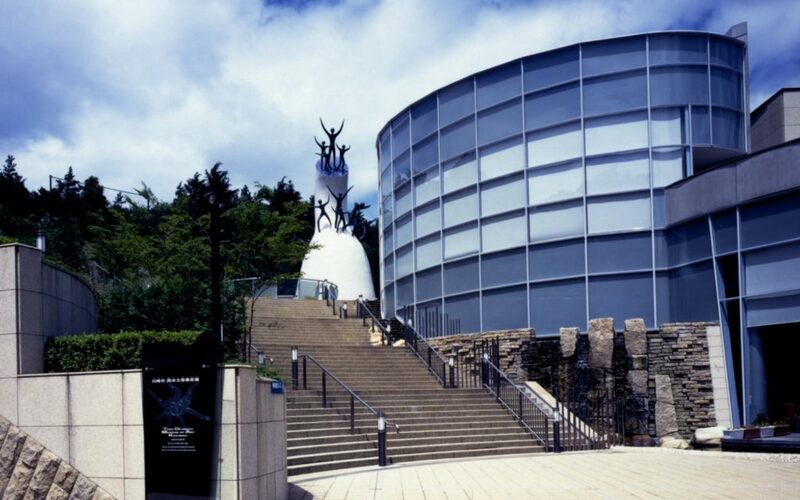 The permanent exhibition costs ￥700. Special exhibition fees vary. 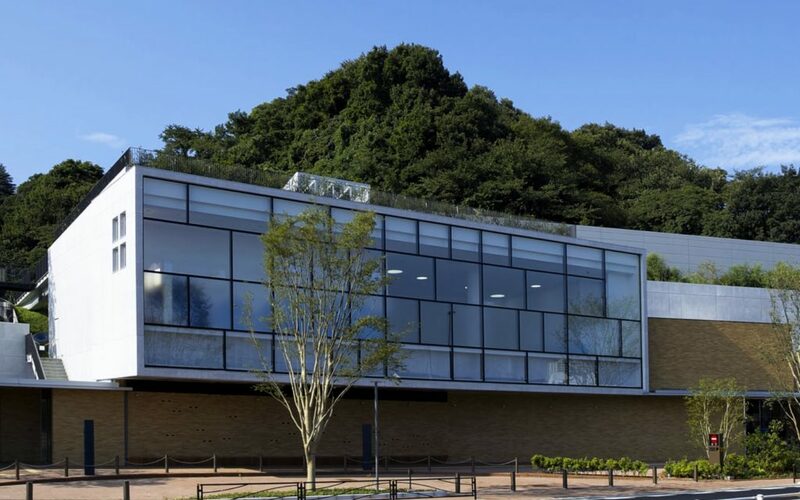 If you didn’t actually die after climbing the around 100 steps to get to the Dento-Kogeikan, a fabric dyeing workshop space on top of a huge hill, then you get to experience aizome. 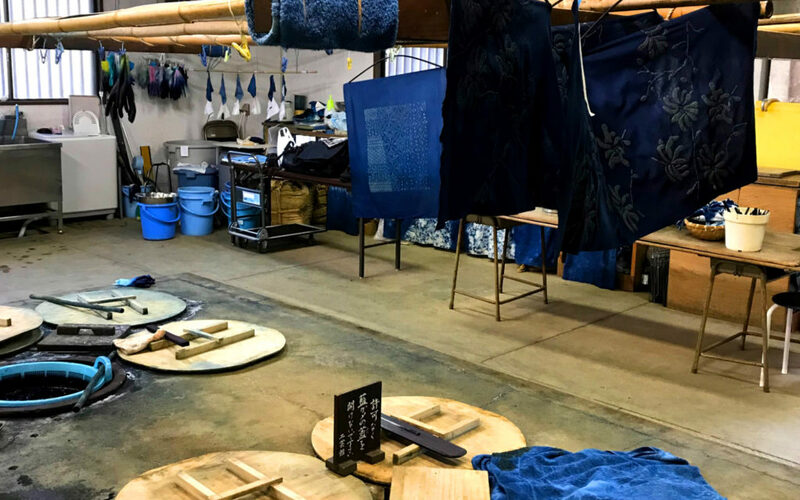 Another of the traditional crafts being revitalized in the area, aizome is a dyeing technique named for the color indigo (“ai” in Japanese) which produces a shade from the deepest most mysterious depths of the ocean. Try your hand at traditional craft. Map out the shapes you want to make using rubber bands, laundry clips, and film cases on the provided handkerchief — any spot that is covered will remain white. 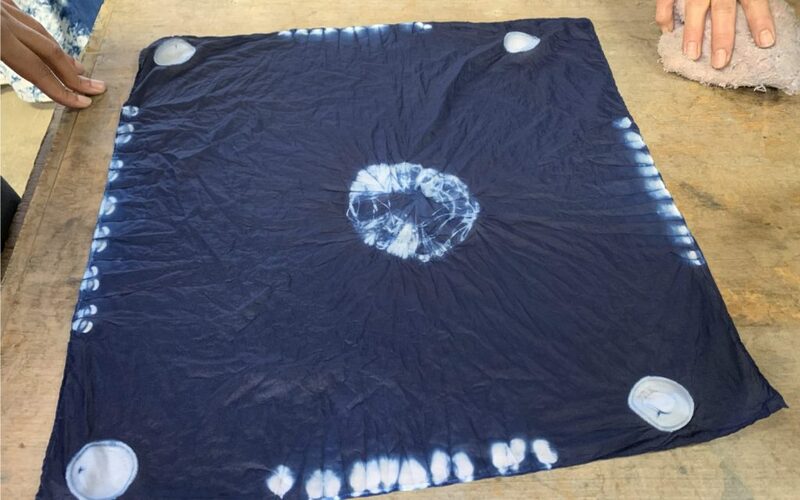 After immersing your cloth in the dye bath for three minutes it will actually appear green, and then turn blue after you scrub out all the air bubbles. Magic! I didn’t think my handkerchief was going to come out looking like anything other than, well, a handkerchief with some random white spots on it. But it actually looks like a cosmic, lunar chart! Or something like that. You can bring your own material if there’s something specific you want to dye, and pay ¥18 per one gram of fabric. If you aren’t really the creative type, make a reservation for a workshop where you use a pre-made pattern to create flowers, sigils, or anything else. 9:30 a.m. to 5 p.m. March through October, and until 4:30 p.m. November through February. ¥620 to dye a handkerchief, or ¥18 per one gram of fabric if you bring your own material. Special workshops costs may vary. To make a reservation, check their website for upcoming workshops or contact them by phone at 044-900-1101. (They sometimes have English-speaking staff available but Japanese may be required). I didn’t even notice the friendly face of Doraemon sitting right in front of the station until it was time to go home. Spot Doraemon and friends outside the station. Fujiko F. Fujio, the creator of the world-famous manga and anime series Doraemon, lived in Kawasaki for 35 years so a museum was built here in his honor. 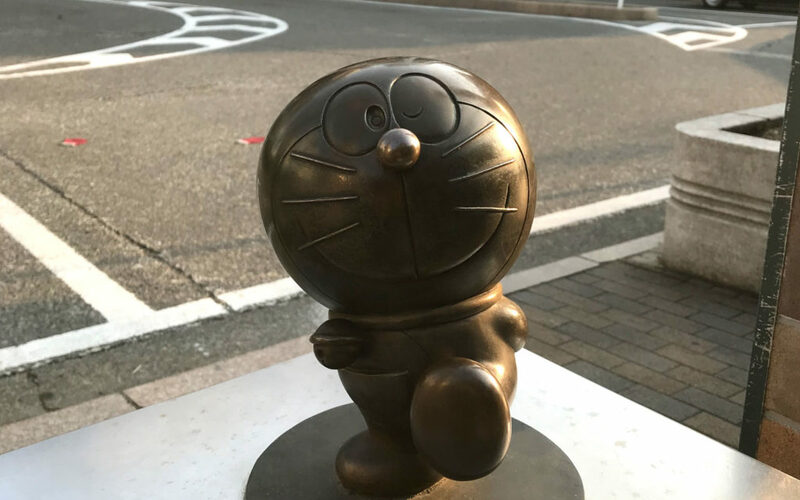 His characters, including the robot cat himself, are scattered along the main road leading from the station to his namesake, the Fujiko F. Fujio Museum. Try saying that ten times fast as you walk about 15 minutes from the station! The museum is quite spacious and features not only Fujiko’s original artwork but heartwarming moments of him with his family that give us a glimpse into his personal memories. You can also browse the huge library of manga or sip on a latte with – you guessed it – Doraemon foam art. 10 a.m. to 6 p.m. Closed on Tuesdays. Adults and University Students: ¥1000 | High School and Junior High School Students: ¥700 | Children (4 years or older): ¥500. 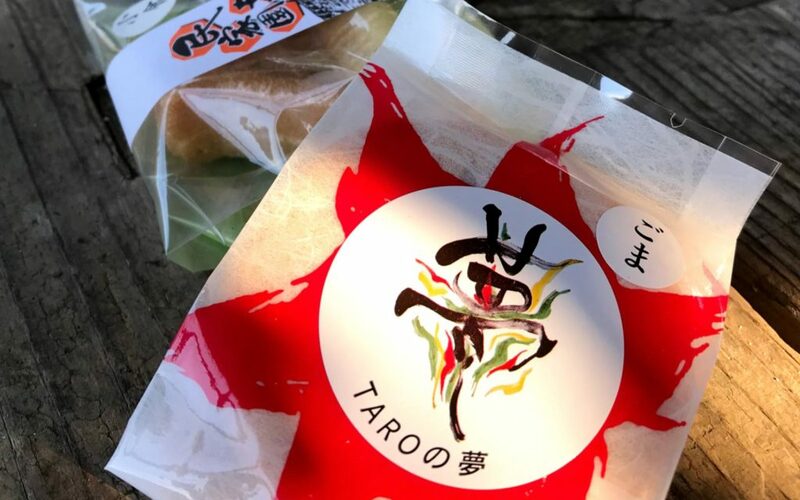 You must purchase a timed-entry ticket in advance from the Odakyu Sightseeing Service Center in Shinjuku Station (close to the West exit) or at Lawson convenience stores. No tickets are sold at the museum. There are only four entry times 10 a.m., 12 p.m., 2 p.m., and 6 p.m. daily. Noborito Station is all Doraemon-themed. 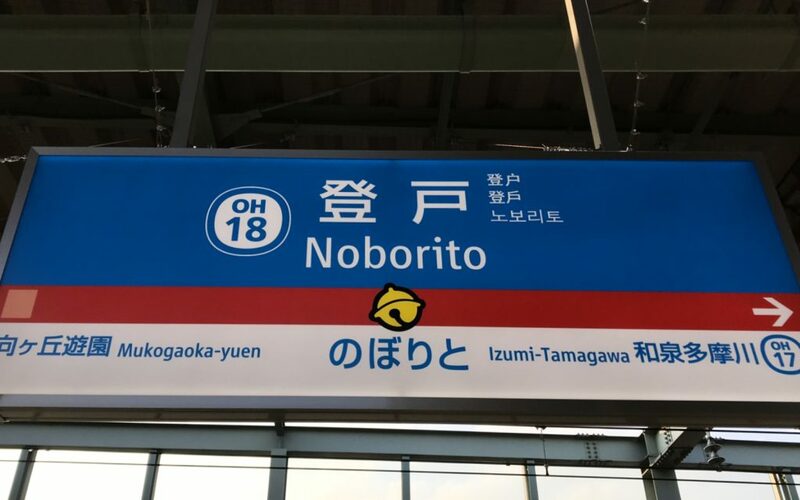 If you’re heading back towards Tokyo and haven’t gotten your fill of the earless cat, stop over at Noborito station – the very next stop on the Odakyu Line. The whole station is Doraemon themed! The signs feature his red collar and bell, and the elevators are fashioned to look like dokodemo doors from the series that lead you to wherever you wanna go, assuming where you wanna go is the first floor of the station of course. And just like that, with a wink goodbye, Doraemon wishes us well and sends us on our way. If you are interested in exploring other areas in Kanagawa Prefecture, Ellista also runs tours to nearby Fujisawa, Enoshima and Kamakura, and Odawara — all stops along the Odakyu Electric Railway Line which covers the area southwest of Tokyo connecting Shinjuku to Kamakura and Hakone. *Please note that the Taro Okamoto Museum of Art and the Fujiko F. Fujio Museum are not included in the tour provided by Ellista.